My personal experience is Morgellans comes from chem trails in the sky. And once you have a break out, it will happen again & again unless you do some parasite cleanses and possibly some candida (fungal) cleanses to eliminate it from your body. Also a good diet to curb your fungal and parasitic issues, is advised. I have been infected for almost a decade now and continue battle fungal infections from all the chemtrails I run into doing daily land and water blessings for our Planet in Colorado. I have found various methods over the years to help me combat this. At the last portion of this blog I will mention some of the remedies I found successful. Morgellons disease is a bizarre skin condition associated with tick-borne disease. It is characterized by disfiguring skin lesions containing multicolored filaments, often accompanied by fatigue, joint and muscle pain and neurological problems. Morgellons disease is a controversial topic in medicine. The controversy surrounding this dermatological condition is explored in the February 2018 report published in the prestigious medical journal Clinical Cosmetic and Investigational Dermatology . “This paper compares the evidence of an infectious etiology for Morgellons disease to the evidence that it is a purely delusional illness,” says Cindy Casey-Holman, director of the Charles E. Holman Morgellons Disease Foundation (CEHMDF) of Austin, TX. 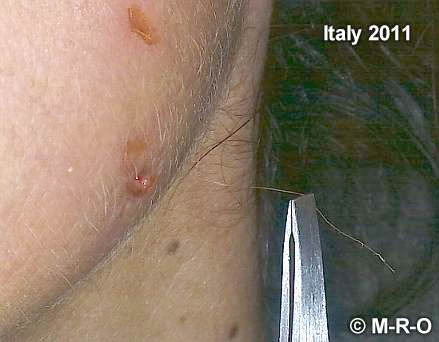 In the first initial phase after infection, diagnosis and recognition of these filamentous organism called “Morgellons” is very difficult (See also “process of an infection”), since generally there are only a few typical skin symptoms recognizable and the overall clinical picture usually presents at first similar to “Scabies”, or some fungal infections as Pityrosporum folliculitis or Phaeoacremonium parasiticum or Coccidioides immitis or some dermatophytes and protozoa infection as Pythium insidiosum with similar symptoms. More exact microscopic investigations result in clarity and are always compellingly necessary therefore. It is also always advisable if symptoms are lacking, if difficulty making the correct diagnosis, or recognition of the severity of the infestation, then one must receive a skin scrabing, biopsy, agar cultures or adhesive tape sampling, whatever results in better success in the recognition. This should be especially helpful particularly if this specimen sample was taken directly at the infestation areas. Almost always there will be some external unusual fibrous matter easly seen under light microscop at 100-200X magnification. However, one should know in addition what one actually should do with for which findings and what one must look for. If an scrabing or a withdrawal sample by needle brings a kind of coloured fuzz, then that maybe the only “parasite” you will be able to recover and you should accept this. Further samples could be attempted to try for more statistical significance, in order to exclude coincidences with cloth fabrics. There are alot of herbal remedies out there. I just found a product names NEEM today that is great for candida and parasites and relatively inexpensive (around $10-12). I also recommend Kroegers Candida Kit or Kroeger’s Parasite Cleanses. 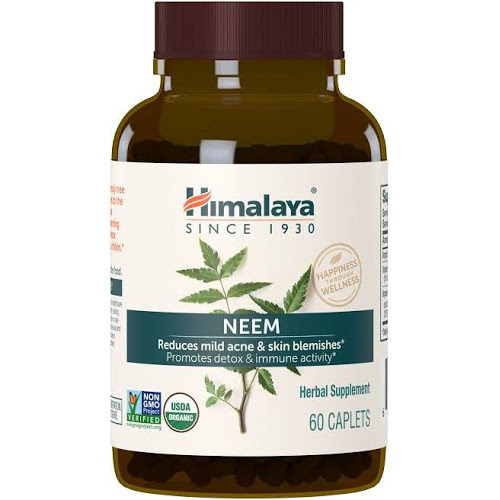 They are a bit more pricey than the NEEM (around $12). It will do wonders for an skin breakouts on your face. Another way of cleaning our your gut is by doing colemnas; it is a natural bowel irrigation that cleanses the last 5 feet of your colon with 5 gallons of clean (purified & blessed) water. All you need is a bathroom with a toilet and some privacy and a colemna board. Check out this video as this lady gives a great demo of setting up your board. I differ from my own practice in that I only use purified filtered water. I also bless the water before taking in my colemna. It is necessary to eliminate all the parasites in your gut that you encounter in your lifetime or even just a 2 decades of your life. If you have pets in your home; in all likelihood you family has parasites. It is very difficult to keep the parasites from jumping hosts in a household where pets are, whether on your furniture, picking it up from walking on the sidewalk, or in your bed. If you are a pet owner, consider a yearly cleanse here going forward. Although this process seems EXTREME, it really gives you a great picture of what is happening in your gut. It can become a great form of self love from this point forward. It makes your skin feel awesome immediately and it flattens your tummy over time. Weight loss occurs because most of us are literally full of sh%t. Making sure you put good food inside your tummy going forward that does not attract and keep the parasites nesting in your gut is imperative as well as a yearly cleanse. If I had access to using my board as often as I wanted to I would do this 3-4 times a week because of how good I feel from these bowel irritations.